Our 13oz Scrim Vinyl banner is exceptional for promoting or announcing an event or business. The possibilities are endless. These high-quality custom banners are for indoor or outdoor use, as they are waterproof and extremely durable. 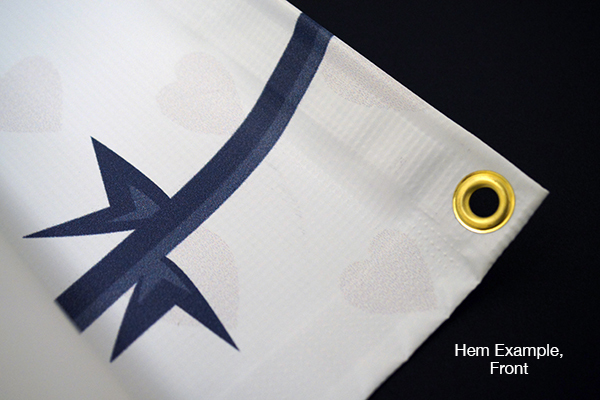 We offer additional options for our vinyl scrim banner including hems or grommets for easy hanging. Add grommets to either every 2 feet or corners only. 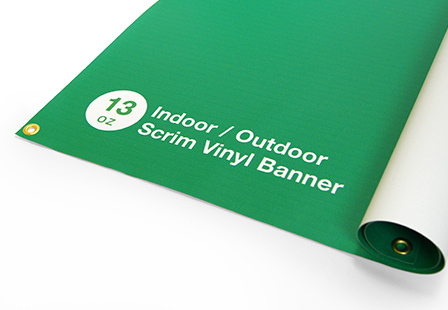 Choose from an array of vinyl scrim banner dimensions to meet your needs. Material: Our 13oz scrim vinyl matte banner is intended for outdoor use but can also be used indoors. 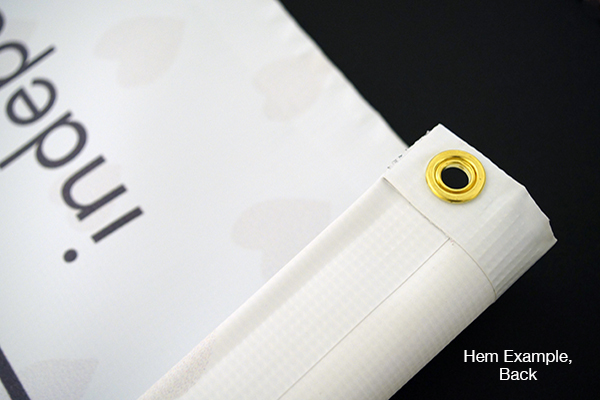 Waterproof & durable this material is often used for large outdoor banners, trade show signage, billboards, etc.